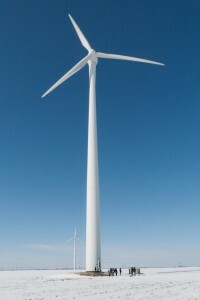 Wind Park Drone is about the sound of wind turbines and guided tours to discover the versatile and interesting sounds. 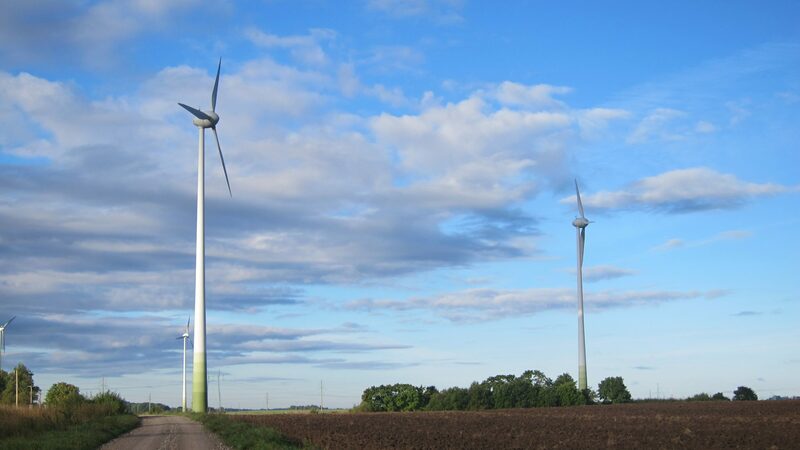 A lot of people are bothered by the sounds of wind turbines. They long for silence – only when they get it they perceive it as oppressive. The Camera Silens (lat. silent room) shows this vividly. This is a completely dark and soundproof room. Staying in this room for a longer time leads to hallucinations and other impairments of the cognitive ability. The Camera Silens is used as a from of torture – so called white torture because it leaves no visible trances on the victim. The composer John Cage suggested an alternative: “If noise is bothering you, listen to it.” This project is taking John Cage literally. In pop music it is called Drone and in classical music Bordun. Both are heavy, sustained, dark tones throughout a piece of music, accompanying the melody. In everyday life when encountering these kinds of sounds created by technical apparati, we do not perceive them as music and feel uncomfortable and disrupted by them. People perceive the intensity of noise more or less disruptive depending on their individual attitude. This project is an experiment and takes a stab at changing the perception of the participants. Is it possible to change an initial negative perception through careful and active examination into a positive or at least neutral one? 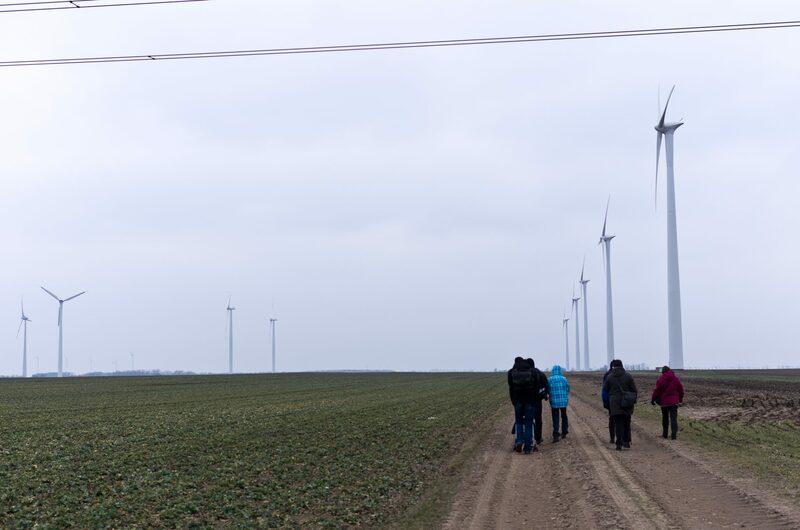 Wind parks are especially suitable for such an artistic examination as they gain presence because of the current energy transition from fossile fuels to regenerative energy. Near wind park complexes one can measure sound levels of about 55 dB. The level of street noise is about 90 dB, the noise level of a normal conversation 50 dB. Looking at these numbers the noise pollution by wind park complexes is not very high normally. Still residents living near these complexes complain regularly about the noise. The first impression is only a buzz or a hum tone. Listening closer one can identify a surprising array of sounds and acoustic colours.